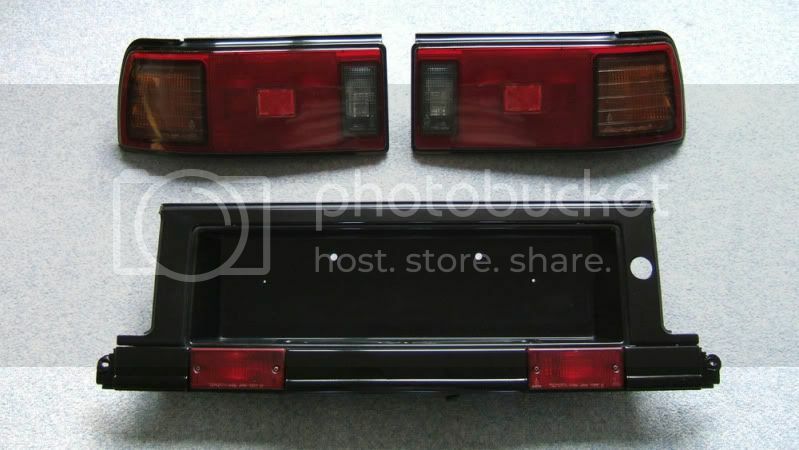 Tail lights and side bumber lights. Well, my frist problem is that my left rear tail light has been leaking and i blow out the break light. but just the break light. 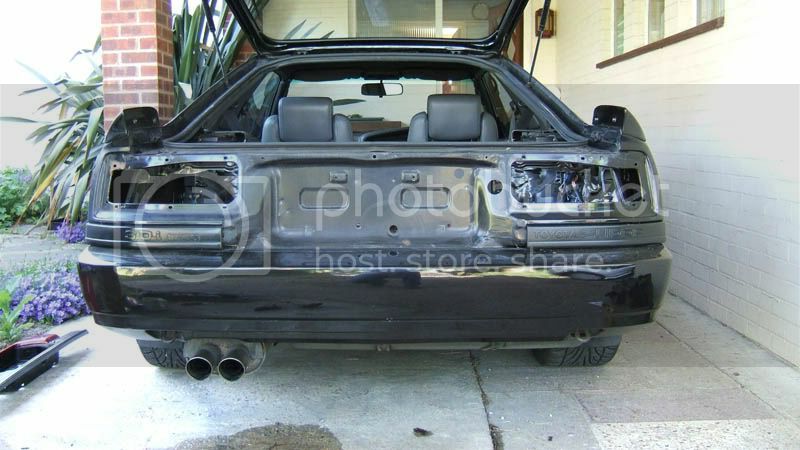 ive been looking at it and where the tail light raps around it ( on the 89, idk about other years) it sticks out a little bit rather than the right side which fits stung. and idk where to put in silicon in that spot and around the seal or what. and my next question is about the Euro side bumber clear lights. its all clear and idk if i need to get orange light bulbs, or if there already is orange lights in there. because i havent taken the orgainal lights off yet. or if there are clear ones just not to worry about it. I suggest you remove the lights and investigate why one sticks out a bit, at the same time you can have a go at sealing them properly. They are held in with 6 nuts. You may find the gasket has deteriorated over time, you can buy new ones from Toyota but they aren’t cheap. Or you could cut new ones from a sheet of ridged type foam using the old ones as a template. The quickest and cheapest way is to coat them with silicon sealant. 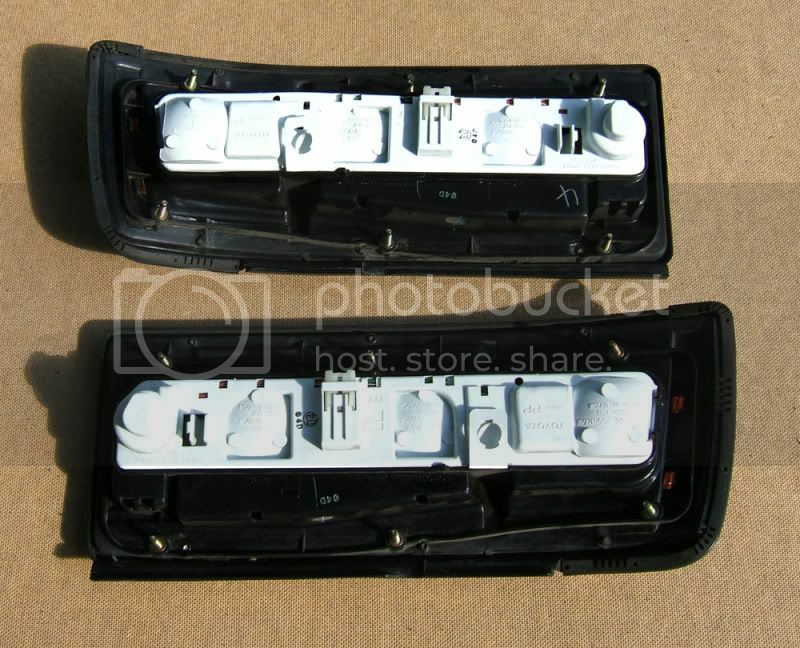 Although the center part of the taillights may look different to the UK ones below, the lamp fixing is identical. The black rubber/plastic part you can see around the external part of the lamp is there for cosmetics and doesn’t seal anything, so squirting sealant around there will seal nothing. A couple of things to be aware of; as you can see from mine the screws where the nuts attach are like new. If yours are rusty then I would spray them with WD 40 or a similar penetrating fluid; the screws are only bonded into the plastic lamp housing and could break away. 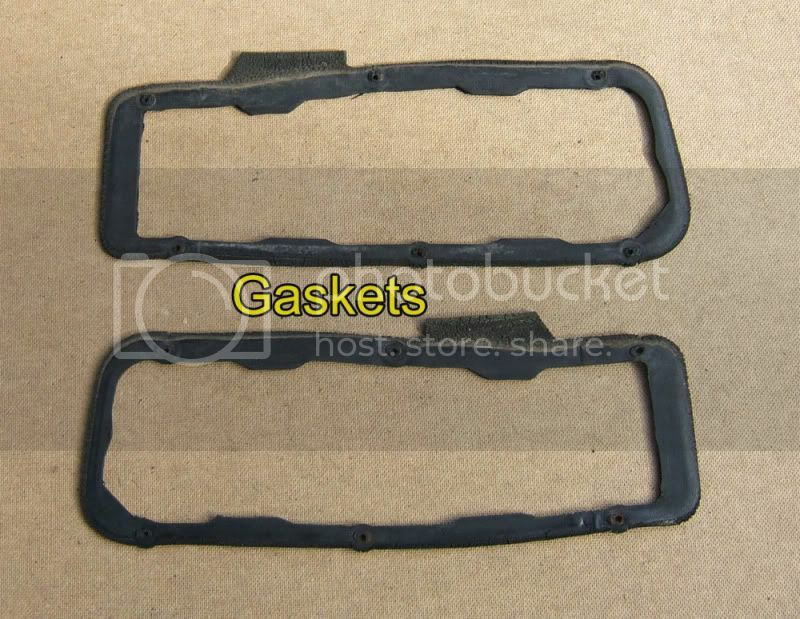 The other things to note is that the gaskets are the same profile from left to right hand, but if you order a set from Toyota the part #`s will be different from left to right. The reason being on the gasket there’s a bit protruding out (like a shark fin shape.) depending on whether its right/left handed there is a small piece of double sided tape attached, not sure why ? they probably helped with assembly on the Toyota production line, at a guess.